Blue Swan is proud to announce the launch of Blue Swan Academy, an educational and talent platform currently focused in the areas of Blockchain Law, Crypto-economics and development of decentralised ledger technologies (“DLTs” i.e. blockchains). We are part of the Blue Swan, an organisation which embraces DLTs as a technological breakthrough that, together with other technologies, will allow significant upgrades to the people’s way of living. We are committed to supporting its global implementation and its mass adoption, in particular, the use of smart contracts in the realm of digital law and asset tokenisation in crypto economic protocols. In this article, you will learn about the vision and mission of Blue Swan Academy as well as what to expect from us in the next months. Blockchains and other DLTs create a knowledge and skill gap in the environments in which they emerge and, thus, it is crucial to educate the general population to take advantage of its potential and train knowledge professionals about the underlying philosophical challenges and new technical skills so that they can understand the impact of the technology in their professions and better deploy it in everyday life. The current (low) state of knowledge, (mis)understandings and hype of DLTs, together with limited hard skills in the market, are critical challenges to its successful development and deployment in the society. Blockchain technologies provide a whole new set of ways for transacting and generating value. Open, permissionless blockchains such as Bitcoin and Ethereum are general purpose platforms that provide a universal trust infrastructure which replaces current costly and inefficient intermediaries (“trusted third parties”). The importance of this technological breakthrough is hard to overstate. Unknown agents which don’t trust or even know each other may now transact between them, can cooperate around a common purpose and coordinate themselves through decentralised, headless organisations. Technology allows the creation of dynamic, self-executable digital threads of transactions, the smart contracts, which can be used as rules, legal contracts, agreements, and can be integrated into the whole legal system. On the other hand, private or consortium blockchains such as Hyperledger or Ripple are protocols that fulfil a specific business purpose and are used among a corporation or an industry, when they are in higher trust environments. The implementation of blockchain features to current databases provide efficiency gains and other advantages such as auditability and immutability. In both cases, blockchains have the potential to scientifically reduce intermediation in transactions, eliminate agency and counter-party risk as well as automate the execution of several business processes and contractual agreements. These features turn superfluous, or even obsolete, the way that many tasks are currently carried out by knowledge workers. Industries such as legal, insurance and financing, which are composed of socially trusted intermediaries, are being already disrupted. Blockchain technologies force professionals to replace rent-seeking activities through value-adding ones, which will radically change the nature of the labour market itself. Further, this breakthrough can be foreseen to be nurturing and upgrading the whole legal and financial systems of our nations, thus providing increasing welfare to the people. Blue Swan Academy is committed to promoting the massive, efficient and ethical adoption of blockchain technologies. We will provide technical training in blockchain technologies through our e-learning platform, live workshops and publications. Blue Swan Academy will provide the skill set needed by people to keep generating value in society. The impact of blockchains in the legal profession and in the governance of societies is one of the most important and least understood topics in the environment. The purpose of our blockchain smart law courses is to provide the technical and legal tools to understand the new role of legal practitioners and the meaning of law itself in society. b) explain the impact of blockchain technologies on the legal profession with an emphasis on specific legal and governance use cases. Further modules on specific topics will be delivered organically from time to time according to the environment development and stakeholder needs. Content production is open to public collaboration through our Github repository and we strongly encourage you to participate. Contributions will be integrated into the digital commons and licensed under a Creative Commons License CC-BY — SA 4.0 (attribution/share alike) so the impact and progress will revert to the whole knowledge domain space. Blue Swan will periodically set up bounty rewards for content contributors through the Bounties Network. In the first stage we will reward promising proposals with BRLN reputation tokens, please take a look at our open bounties for use cases and crypto-legal primitives. At the same time, we are starting and fostering a participatory process opening a dialogue with the community to activate this interesting topic. Blue Swan Academy believes that blockchain technologies will increase the size of the worldwide legal system and service market. Des-intermediation, automation and dynamic threads of multi-layer contracts will increase access to welfare, justice and access to legal services for the general population, currently limited by an expensive and analogue-based system. Simultaneously, new risks are emerging with self-executable, autonomous code and resilient, transparent, tamper-free ledgers. In order to identify and assess these new risks, legal teams of large companies and tech-savvy law offices need to understand not only the technology, but also the specific regulatory issues involved and the challenges of decentralised technologies with national laws, e.g. jurisdictional issues and justice keepers. Lawyers and computer scientists will work together in multidisciplinary teams to understand how technology and law interact. If you wish to be part of the community or have an inquiry please get in touch! Bringing blockchain solutions to life. We are helping to create the conditions for an open, inclusive society, in which financial, legal, and civil opportunities will be realised; giving greater rights and autonomy to every individual, and revolutionising the way the world works. We are independent and unbiased. Our vision is the mass use of DLTs and tokenised assets. Our mission is to build the basis for a decentralised environment through a new technology of trust. Please follow us for upcoming articles on how we built this, or subscribe to our newsletter for regular updates. 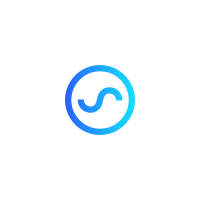 Blue Swan is an ecosystem for decentralized innovations bringing blockchain solutions to life.